KOSCIUSKO — A Silver Lake woman was arrested after making fraudulent withdrawals from a bank account. Cherokee Dorinda Sizemore, 37, 402 E. Main St., Silver Lake, is being charged with fraud on a financial institution, a level 5 felony; and theft, a class A misdemeanor. On May 31, 2017, officers responded to a report of fraud and theft. According to the affidavit of probable cause, a female subject told officers that someone had been accessing her Lake City Bank checking account via ATM, making multiple withdrawals. The fraudulent transactions totaled $1,661. The subject reported the fraudulent activity to the bank. Lake City Bank refunded the subject $1,483 back into her account. The transactions occurred from April 24, 2017, to May 7, 2017. Officers collected surveillance photos from the bank of an individual using the female’s debit card. The subject immediately identified the person in the photos as Sizemore. 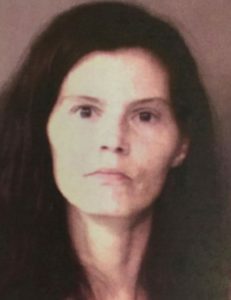 A warrant was issued for Sizemore’s arrest and she was booked into the Kosciusko County Jail on June 19, with a $7,500 surety and cash bond.